This blog contains the things I make, projects and tutorials. I know that there are so many of you that make things with the help of my tutorials, and I know that you are all awesome! So I would like to inspire others with the help of you. I would like to show what my tutorials inspire you to make. I have added a page called “made by you” where you already can see some things people have made. 5 Comments Made by you. 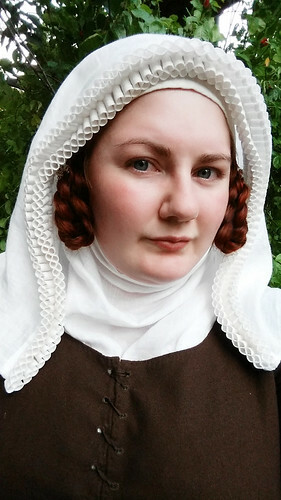 I started to feel like it was about time to sew a new dress, after three years (or tree weeks as I only really worn it to medieval week) in my green gown I had so many things I wanted to do better. 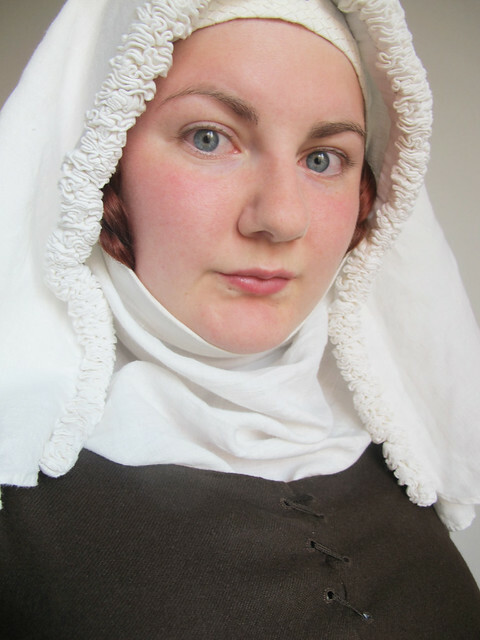 I did my green gown before I started tailoring school and when I was really new on medieval stuff. I decided on brown last summer, but did not buy any fabric, and then the yellow gained on the “most wanted dress list” as it felt like “everyone” was doing brown. In the end I did a small poll on my personal facebook, and everyone said yellow… And a small voice in my head said but, but, the brown, is so pretty. 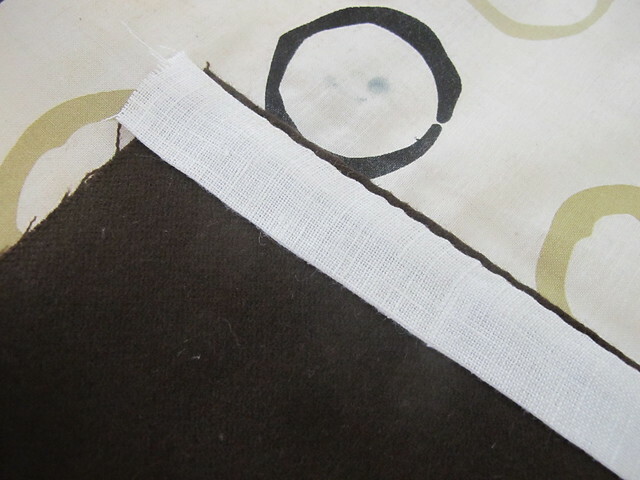 That is how you choose colours ;) so I bought a lovely oak brown thin twill from Handelsgillet a thin ans shiny fabric perfect for summer, a lot thinner then my green dress. I got it home and steamed it and put it on the “to do shelf”. Next of was pattern, I knew I wanted to do a Greenland inspired gown, so I looked a lot on Greenland no. 38 for this dress. I love the slim panels in the sides that flare into a wide skirt, it is perfect for fitting on a large bust and “hides” hips in the fullness of the skirt. 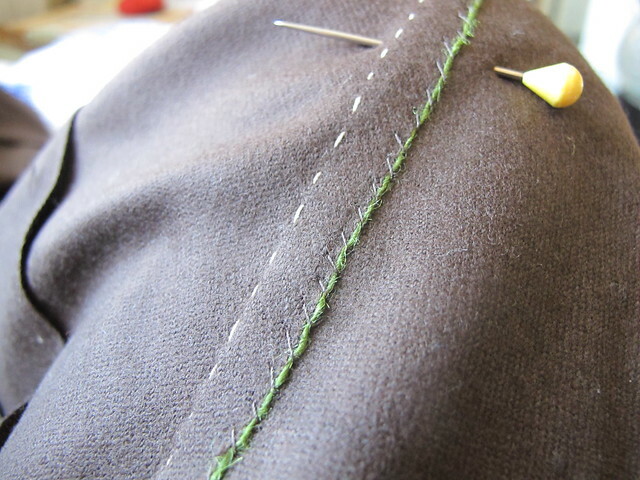 I tried my hands on the 38 in my green gown, but now I wanted to master it with my tailoring skills. I choose to make it much more fitted then the original gown, as the trendy tight fitting dresses from the manuscripts. 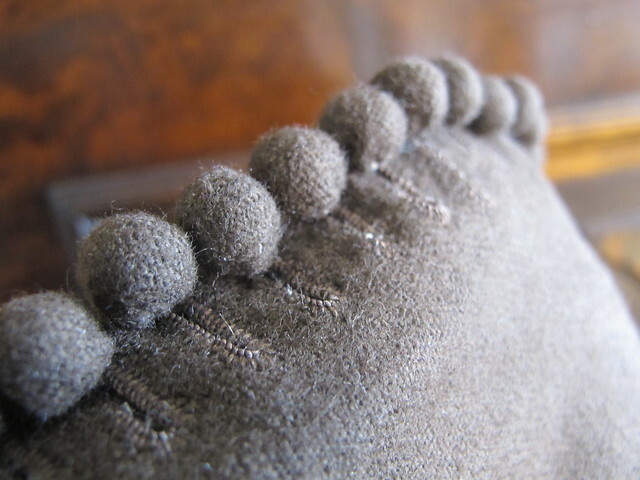 I also choose to have buttons in the sleeves as you can see in the London findings. As I wanted to make this so that I can wear it as a middle dress I choose to make it with lacing in the front in stead of buttons, also this is inspired by period art, in the shape of the grave effigy of Katherine, Countess of Warwick. She sports lots of tiny buttons on her sleeves and then spiral lacing in the front. Also I did not know when I made the green dress but the panels of the original 38 is actually cut slightly on bias. I wanted to see what difference it makes. For one it makes the cutting of the dress very fabric effective. You get a lot out of your fabric with not all that much waste but a great fullness of the skirt. A big bust is troublesome when fitting and it took me about six toilles before I felt that the fit was nice, as always it is hard fitting yourself, but I am happy with how the pattern turned out. Keeping the side panels slim as in the original felt important, is would have been a lot easier it they had been wider and more of princess seams, but then it would not have been the same dress. I basted together the whole dress to check the fit, I want to show you my stitches. I find that many people baste very small, this is my stitches. I make them smaller in the tight fitting areas, and then really big in the skirts. 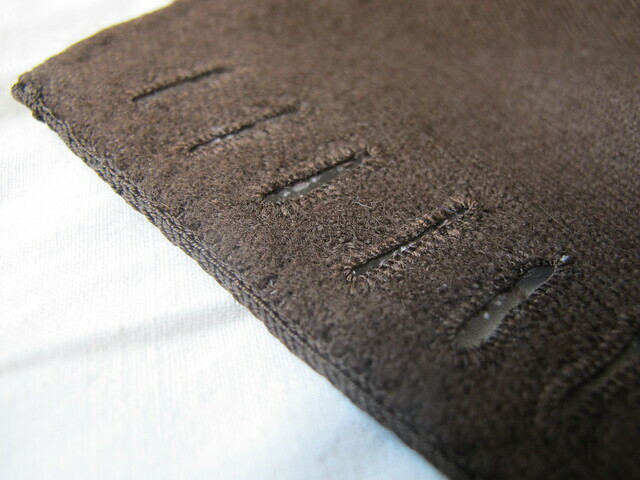 Don’t waste time on small basting, do small stitches where it matters in stead. 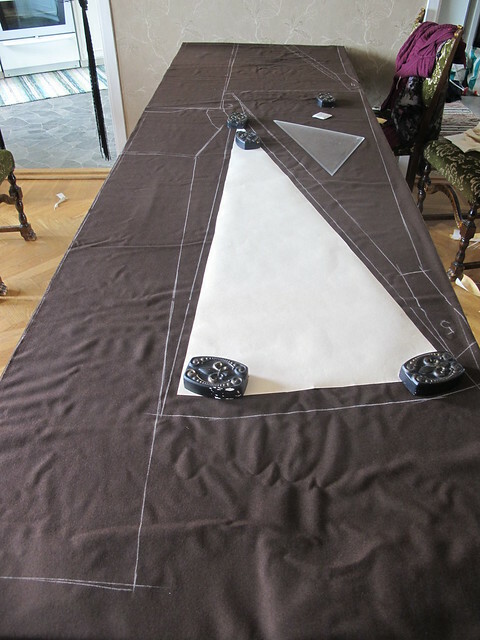 After the fitting I started to sew the real seams, I do it like this. A ribbon is tied around my leg just over my knee, and then the fabric of the dress is pinned to the ribbon. 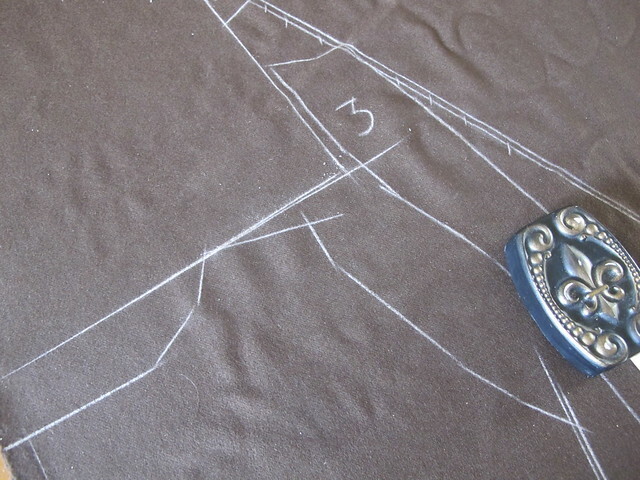 As I sew the fabric is tight and it makes for quicker sewing and easier to make straight seams. I sew with backstitches where the dress is tight, until my hips, and from there I sew with running stitches in stead, with the occasional backstitch. 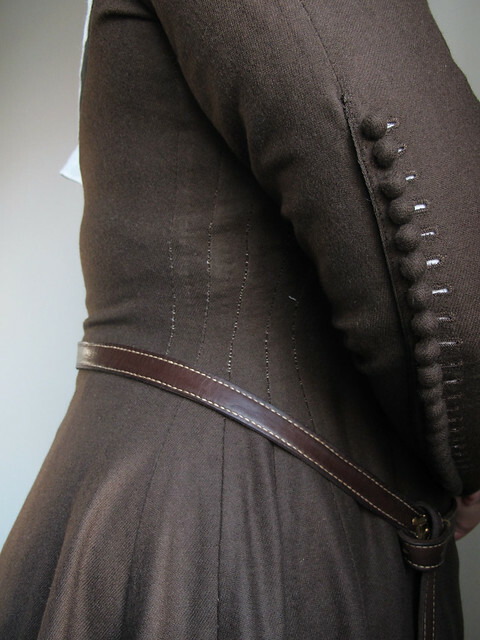 Again, don’t waste your time with backstitches on such a wide skirt, it is unnecessary and only takes time. 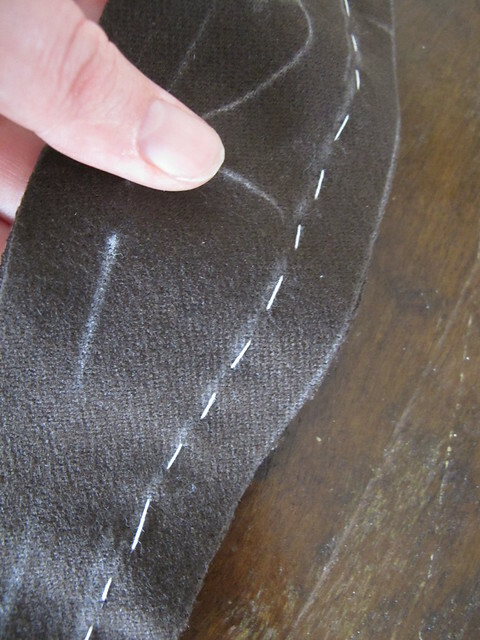 After sewing all seams I pressed them really well and then I felled the seams to one side using a filler thread. The filler treads can be found in the seams just as this on the Greenland finds. 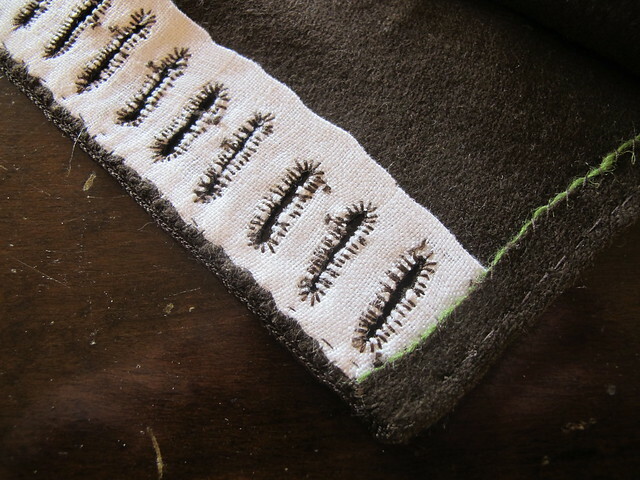 I sew down the wool filler thread with sewing silk. Where the buttonholes and lacing holes are I have reinforced with a linen strip. 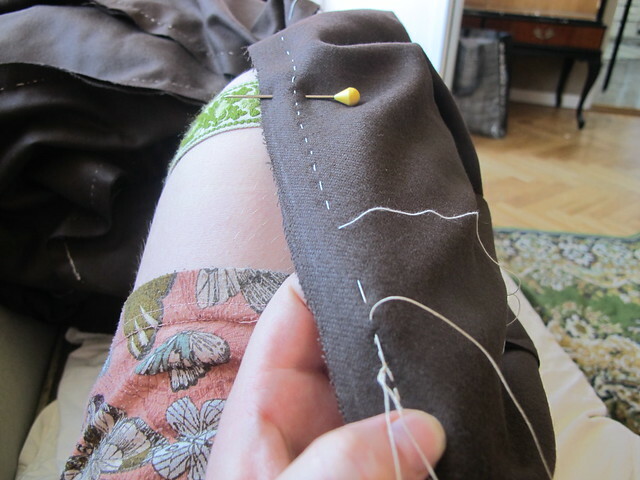 I choose to sew my buttonholes with a real buttonhole stitch with a knot in buttonhole silk, as you can see on the buttonholes of the London finds, it makes for durable buttonholes that are easier to do straight, even and also look very pretty. 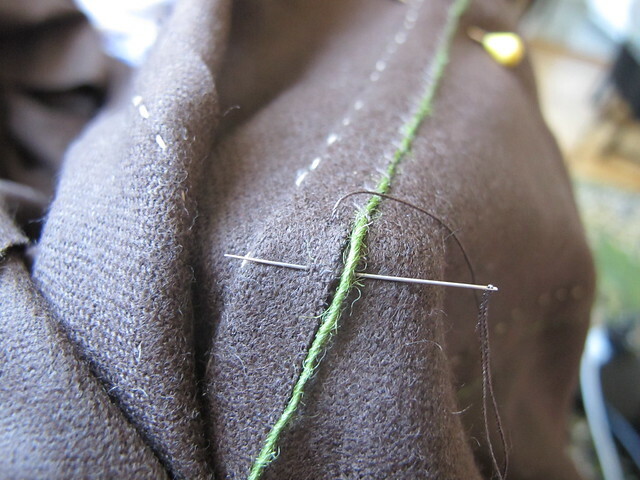 Also note the round buttonholes without thread bars in the end, just as a medieval buttonhole should look. 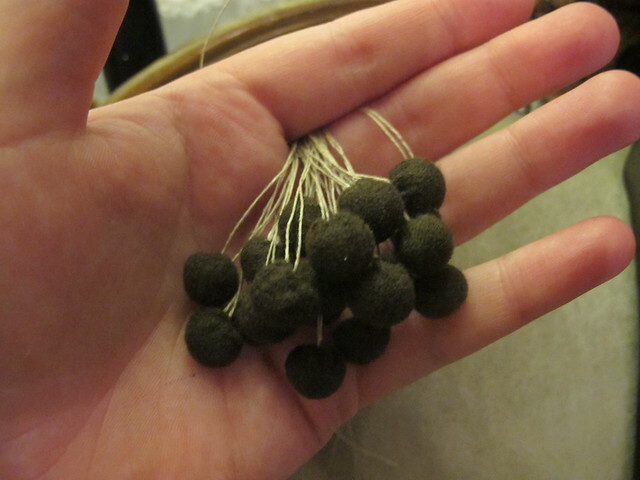 Also my lacing holes are sewn in silk with buttonhole stitch. Here you can see another thing inspired by the London findings, a thing silk edge weave, tone in tone silk to match the fabric of the dress. I used DeVere silk treads in the colour Cigar and thread thickness 36 and three cards that were threaded in all holes both as warp and weft, to weave was really boring actually. It was so slow, but I love the end result. Subtle but very nice and it makes the edge more durable. The backside looks alight, not as pretty as in the front but it is ok the buttons are 5 mm from the edge, and then the edge weaves comes and is 3mm wide. I should have put the even close to the edge, next time I might dare more. 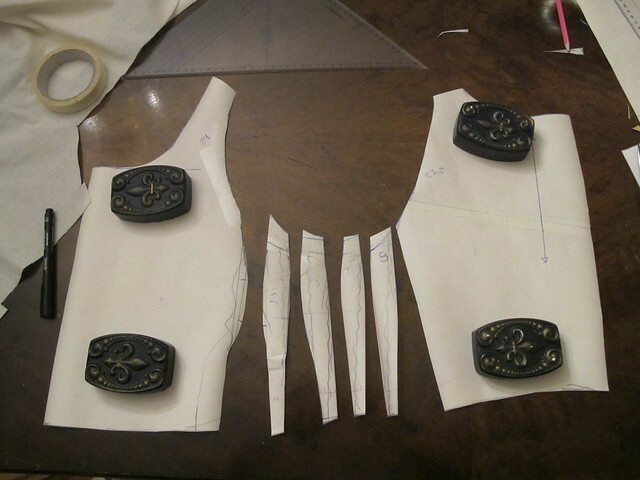 Then it was time to do buttons, tiny tiny buttons and in the end it became 31 on each arm, so a grand total of 62 buttons. So close that they almost touch. Here you can see the lacing holes and also the string that I made for the spiral lacing. I card weaved it in the same silk as the edge weave and it was even more boring. Six or eight cards threaded in all four holes with DeVere silk thickness 36. 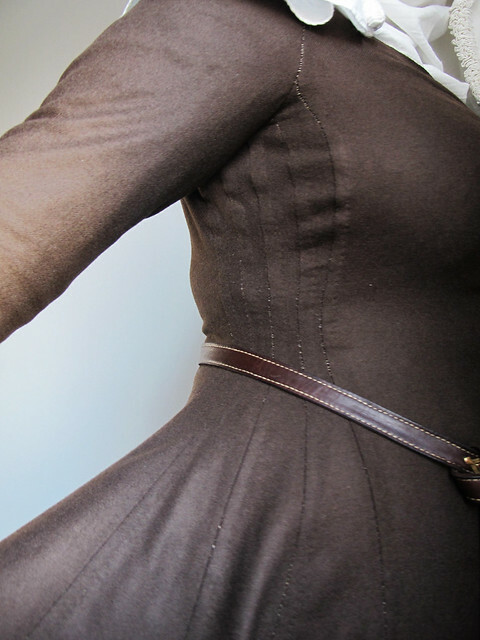 What you can’t see is that all the edges are stab stitched, around the neckline, in the front and around the hem of the sleeve and buttonhole side. Just as in the Greenland findings. It makes the edge less prone to stretching and also keeps it very flat and nice. This is the result and I am very happy with it. It will fit better after some wear as always with wool the dress needs to “settle” on the body. After one sweaty day in Visby it was a lot better already. 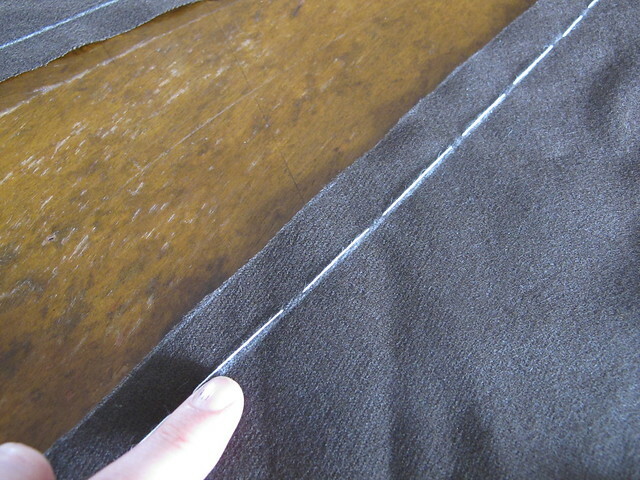 The wobbliness that you see here will most likely be gone after some wear, it is due to the side panels being on bias. 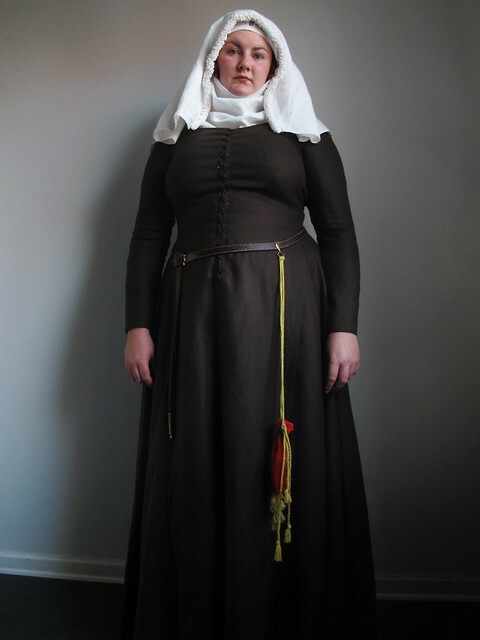 21 Comments The brown Greenland gown. 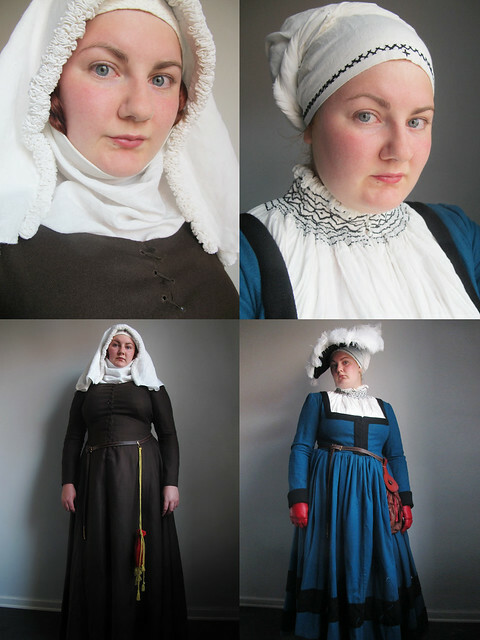 These are my outfits for Medeltidsveckan (medieval week) in Visby at Gotland. I hope I will see you there, if so say hi to me, I promise I am really nice ans I always love to meet people who read my blog. I will be on the island from Tuesday night to Saturday.